As church leaders we are all learning every day. One of the great movements of God in western culture is to re-establish a strategic connection between the church and the family to disciple the next generation. If you look closely you will see evidence of this movement emerging from several different voices. 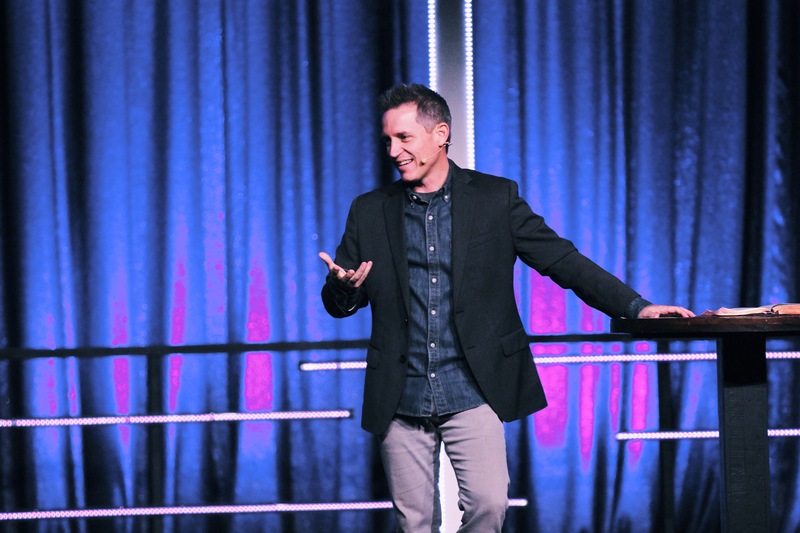 I see it in the Faith at Home movement championed by pastor and author Mark Holmen. I hear it in the Orange movement led by Reggie Joiner. I hear it in the writings of Kurt Bruner and John Trent. Seminaries like Southern Seminary in Louisville, Kentucky and Southwestern Seminary in Forth Worth, Texas are equipping the next generation of pastors to define discipleship as a church and home process. God is causing a monumental shift in ecclesiology, reminding us of the ancient path of Deuteronomy 6:4-9. Churches are embracing this movement and discovering strategic models to help them equip the family and intern equip the next generation. Its on God’s heart so it’s on our heart. I am privileged to serve at Kingsland Baptist Church in Katy, Texas. For several years we have been practicing an integrated strategy linking church and family called the path of legacy milestones. It’s not a perfect model but it is effective. I recently detailed the model in my book Shift: What it Takes to Finally Reach Families Today published by group publishing in 2009. The strategy is transferable and customizeable to your unique ministry context. It is intentional and gives parents a clear plan for leading their children spiritually. I would like to invite you to join me and our staff for Parent Summit: Pastors Track 2010. On Friday from lunch until 5:00 we will work with you to help you understand the strategy. You will get face time with our Preschool Minister, Children’s Minister, Student Pastor, Adult Discipleship Pastor, and Senior Pastor to discuss the strategy from the perspective of your ministry role. I will of course be there to help you see how your church can make this Biblical shift in the way it practices spiritual formation. On Saturday you will participate in Parent Summit. This event, offered twice a year, is the place parents at Kingsland come to find motivation, direction, and equipping for their family journey. You will be a fly on the wall in our parent seminars and general sessions. We will have a special leader lunch so that you can ask questions about Parent Summit and how it works behind the scenes. Our prayer is that together we will learn from each other and somehow we can help you move forward in your desire to develop effective family ministry and equip the generations one home at a time. For more information or to register visit us at www.legacymilestones.com. The event is open to the first 100 church leaders who register. Thanks for all you do to equip families. Hope you can join us. We’re coming! See you there! Would love to attend this conference. What airport should I fly into? Looking for plane tickets. I think George Bush IAH is your best bet. The drive time to Kingsland is about 45 minutes. Hope to see you there! Thanks. Can you fill me in a little more on the seminar/conference? Do we stay at a hotel? Recommendations? Thanks! The best thing for you to do to get all the info you need is to contact vicki brigham at vbrigham@kingsland.org. She has everything you need. I hope to see you there! Thanks so much for your willingness to share this with the body at large! I am very interested in Legacy Milestones as a possible direction we need to go at First Baptist, Biloxi. I would love to attend the training February 5 but I will be unable to attend. Our son is being deployed that day and I will be unable to attend. Are there other events I could attend soon in the area around Biloxi, Mississippi. Good to hear from you. You can take a look at my speaking schedule for 2010 at http://www.legacyblog.org to see if there is anything that will work for you. We will have a 2 other milestones leaders workshops in 2010 at Kingsland. Watch the blog for details. I hope you can make it.